Dear automakers, please continue making these kind of mistakes. 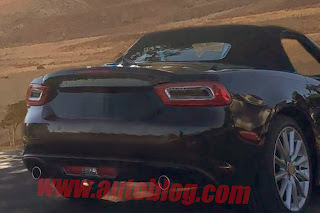 Thanks to what we're guessing is some lax security, the all-new, Mazda MX-5 Miata-based Fiat 124 was spotted taking part in a photo shoot near Santa Barbara, CA. The images show what we'd consider a fairly simple rebadging job. The 124 gets new front and rear clips that not only harken back to the original 124 (not to mention other Fiat roadsters, like the Barchetta), but also serves to distance this droptop from the rest of the company's US range. The similarities between the 124 and the car it's based on are even more obvious in the cabin. 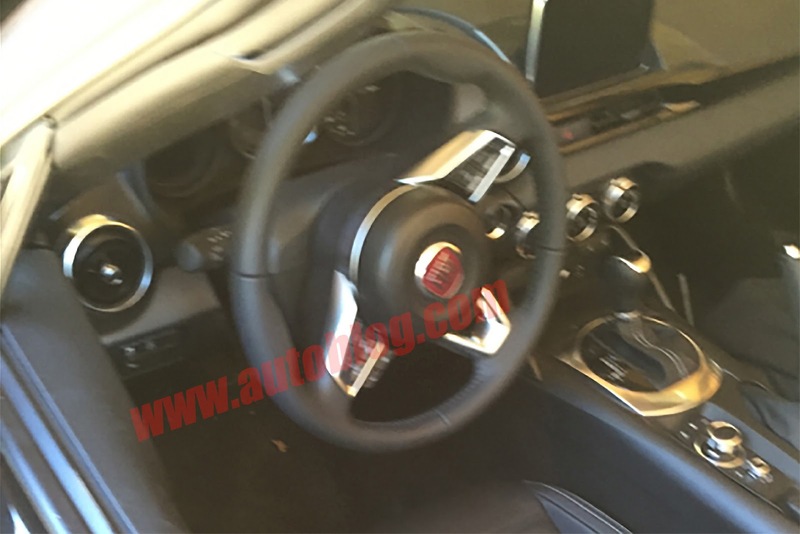 This is an MX-5 interior with Fiat's big, red badge on the tiller. That means the same quality materials and knob-dial infotainment system that have been so well received in the Miata. 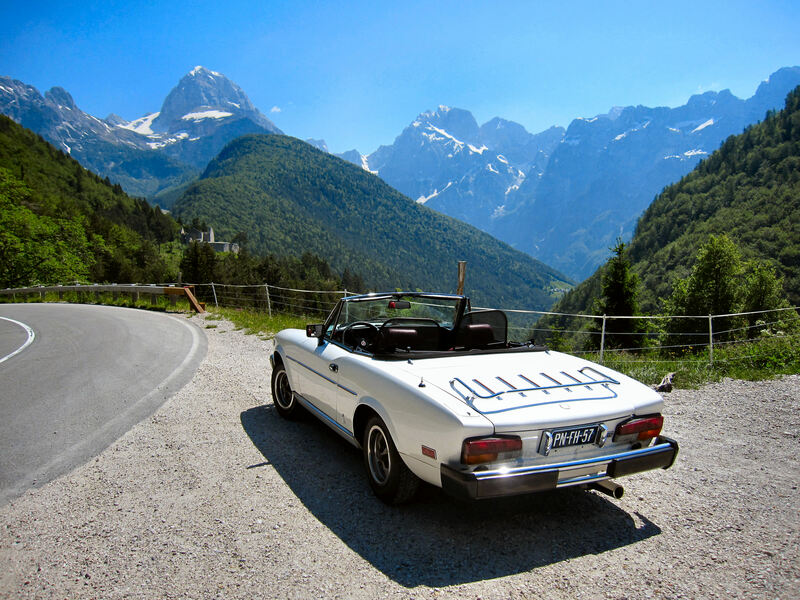 It's under the hood, though, where the Fiat really differs from its Japanese cousin. 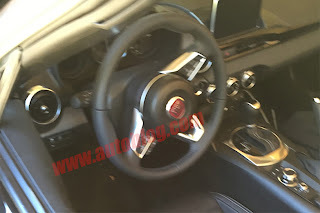 According to our spy, the vehicle shown here features some kind of two-pedal setup – probably the six-speed Euro twin-clutch used in the 500L and Dodge Dart. Don't worry, though, a six-speed stick will also be on offer. Regardless of transmission, we can expect a 180-horsepower version of the 1.4-liter, turbocharged, four-cylinder offered in the 500 Abarth. And if that's not enough good news, a dedicated Abarth model will likely arrive after launch, which our spies claim will use the 1.75-liter turbo and DCT from the Alfa Romeo 4C. 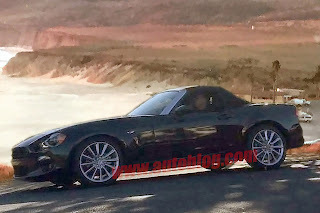 While this represents a good look at the new 124, we'll probably be waiting until the LA Auto Show in November for the official look. Stay tuned.